A classic design steps into the future in the NikeLab ACG Men's Cargo Trousers. Hand pockets store your stuff and zip for low-key versatility, and durable, stretch-woven fabric outfits you in extra coverage from inclement weather. A classic design steps into the future in the NikeLab ACG Men&apos;s Cargo Trousers. Hand pockets store your stuff and zip for low-key versatility, and durable, stretch-woven fabric outfits you in extra coverage from inclement weather. Fabric: Body: 98% cotton/2% elastane. Pocket bags: 100% polyester. I do agree that this NikeLab ACG Fall Winter Collection is definitely not the best out of the previous collections. 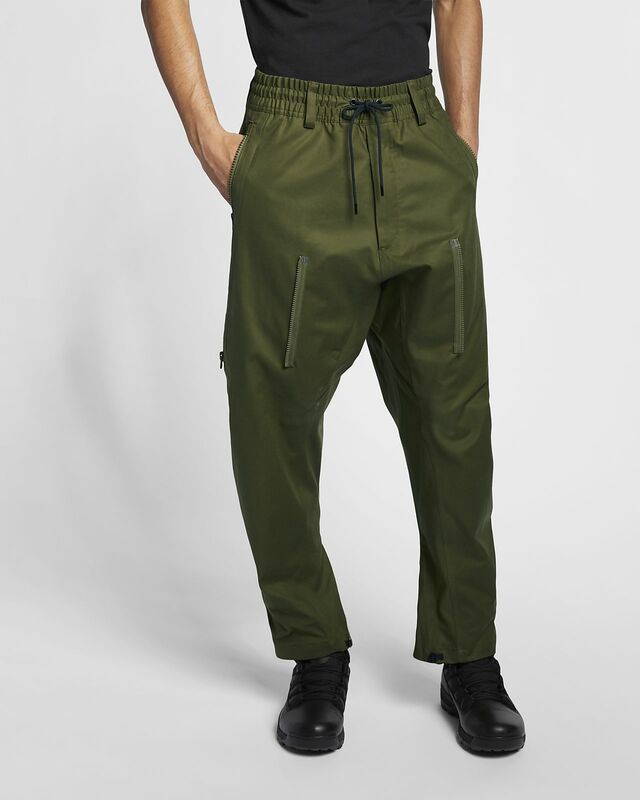 These pants combine both of 2 worlds, combining SS18 Deploy Cargo Shorts and Variable Pants. The pant is very drapey and comfortable and the pockets are very functional and roomy. 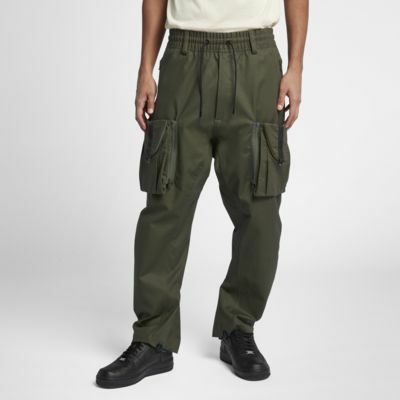 But the only downside of this pant is the giant thigh-to-knee length pocket that allows you to deploy the cargo pockets. After deploying the cargo pockets, the large compartment is wide open. Causing items that are placed inside to fall out. These pants are more lightweight than previous FW17 pants. Overall, I really love these pants. Very comfortable, lightweight, and functional pair of pants. Also, love the adjustable leg opening. Definitely helps to create a more tapered look. Most comfortable pants I’ve ever bought! Loving these, way softer than I expected. Fit a bit large bought a size down.